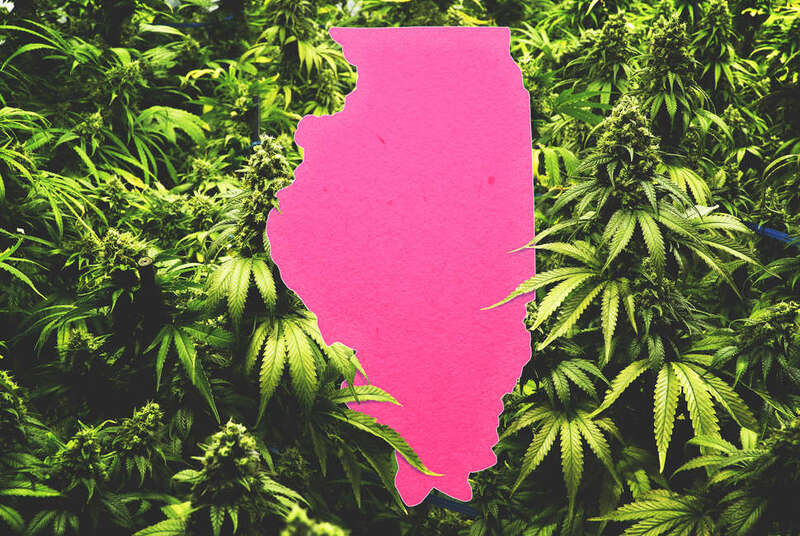 It’s been five years since medical marijuana was legalized in Illinois, but there’s still plenty of confusion out there about the state of legal weed in the Land of Lincoln. With 54 dispensaries now open across the state (including 10 in Chicago and 21 in the surrounding suburbs), you’ve got plenty of options if you feel like now’s the time to stop having awkward conversations with your pot dealer and pay a visit to a professional budtender to heal what ails you. Yet despite the approval of almost 35,000 applications in the state since 2014, and over $85 million in dispensary sales in 2017, Illinois is still a far cry from the stoner paradise of Colorado or Washington. And while Cook County residents overwhelmingly said they'd vote in favor of legalizing marijuana, medical weed remains the only game in town for now -- and comes with a serious application process. To better understand the current status of medical marijuana in Illinois, we spoke to several experts in the field: Danny Marks, CEO of the MOCA/Modern Cannabis dispensary in Logan Square; Jack Campbell, director of the Illinois Medical Marijuana Pilot Program at the Illinois Department of Public Health; and Charlie Bachtell, CEO of Cresco Labs, the state’s largest medical marijuana cultivator, which operates three grow facilities across Illinois. You can’t just show up to a dispensary in your Cheech and Chong tee and say you like to party. There are currently 40 approved chronic debilitating illnesses that qualify you to apply for a medical marijuana card, and they are no joke. Conditions include cancer, AIDS, Lupus, MS, Parkinson’s, glaucoma, epilepsy and yes, Tourette syndrome (a full list is available here.) So if you suffer from one of these conditions, you may begin the application process. To apply, you must be an Illinois resident who has not been convicted of a felony drug offense or violent crime. You must complete a four-page application with the Illinois Department of Public Health that includes proof of residency, age, and written certification from your physician. (Your doctor must also submit a separate form directly to the state on your behalf.) You also must agree to a background check and submit a fingerprint scan after getting one from a licensed fingerprint vendor. You then need to select your cannabis dispensary district, answer some more questions, and send in a $100 application fee for a one-year card ($200 for a two-year or $250 for a three-year card) along with photo ID. While most dispensaries offer advice to help guide you through the process, you can also consult local organization like the Chicago Cannabis Alliance or Good Intentions to handle the application process for you. Once your completed application has been submitted, you are supposed to hear back within 30 days, but a much-maligned backlog has resulted in significantly longer wait times currently up to 90-120 days to receive your card in the mail from the state. If you are approved, you then have to select which dispensary you will be receiving your cannabis from for the entire year, as they cannot sell to you until you have completed this step. (You can also elect to have a caregiver pick up your weed on your behalf, but this requires some additional hoops to jump through and a different form.) If approved, you are able to purchase up to 2.5 ounces every two weeks, at an average price of around $16-$18 per gram. How do doctors qualify to prescribe medical marijuana? Where can I buy medical marijuana in Illinois? What can I buy at an Illinois dispensary? Pretty much whatever your little green heart desires. Options include flower “buds” (strains at Modern Cannabis include “Green Crack,” “Alien Rock Candy,” and “Bio Jesus”) plus balms, lotions, waxes, cooking oils, ointments and, of course, a wide range of edibles including gummies and chocolates. Local chefs and businesses have also gotten in on the green rush, with specialty items and chef collaborations like Mindy’s Edibles from James Beard Award-winning chef Mindy Segal and marijuana-infused edibles from Dark Matter Coffee available at dispensaries across the state. According to Campbell, around half of Illinois retail sales in March 2018 came from dry flower and the rest from other products like edibles. Can I open a dispensary? No. According to Marks, the current pilot program distributed only 60 licenses, the submission deadline for which was September 2014. So until a new law is passed or the law is amended, no additional licenses will be issued. No. All marijuana must be grown at licensed cultivation centers, which are tightly regulated by the state. Illinois has issued 21 grow licenses to 16 operators including Cresco Labs, which controls around 25% of the state’s current market share. 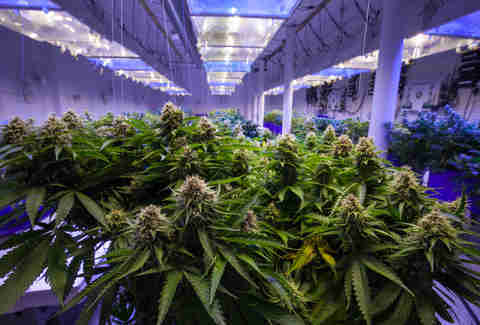 Bachtell describes the state’s program as “one of the more compliance-focused” in the country and “incredibly well respected nationwide.” While medical marijuana operators in Illinois currently only treat about half the number of patients that the industry had expected by this time, the tight regulation and slow rollout has had some benefits. One such benefit? “We’ve got a very professional program in Illinois,” says Bachtell. Are medical marijuana cards good in all states? No. Unlike some states, Illinois does not allow reciprocity, Marks said, so your card no longer works once it crosses state lines. In addition, out-of-state cards are not accepted at Illinois dispensaries. How does marijuana work to relieve pain and chronic conditions? Marks says marijuana works to relieve inflammation and that he hears stories every day from patients whose lives have been positively impacted by the availability of medical marijuana. “For a lot of people, this is their lifeline,” he said. “At least 10 people have told me they’d probably be dead today if it wasn’t for cannabis.” Bachtell echoes this sentiment, recalling stories of children with epilepsy who couldn’t function normally before medical marijuana or patients who have been able to discard dangerous opiates as treatment for chronic pain in favor of cannabis. The best part? According to Marks, we’re only beginning to understand marijuana’s full potential in treating a wide range of chronic health conditions. “In the medical field, there’s probably huge advancements to be made,” he said. Is recreational weed coming to Illinois anytime soon? Jay Gentile is a Thrillist contributor and he has a pretty good idea what Santa can get him for Christmas this year. Follow @innerviewmag.